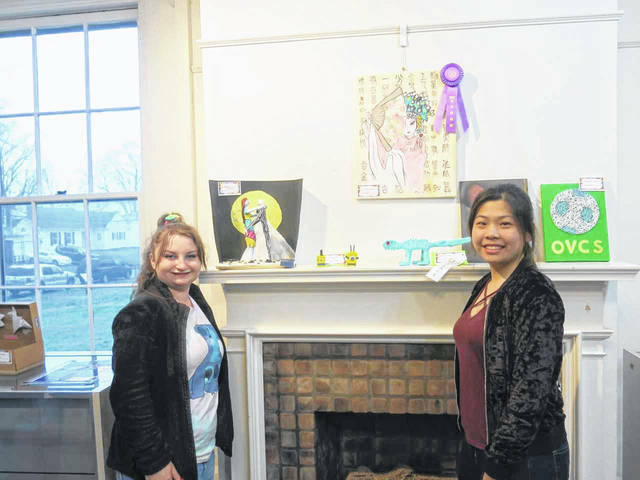 Pictured are Marcie Kessinger and Joicy Liao during the opening reception for the Ohio Valley Christian School Art Show, currently hosted by the French Art Colony. 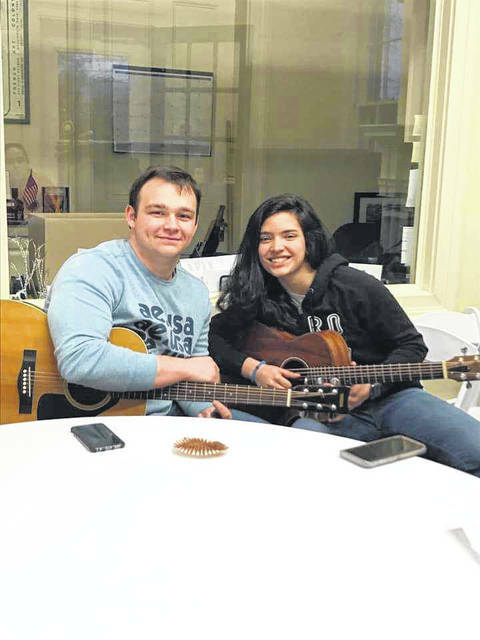 Pictured are Aaron Hall and Leticia Araujo from Ohio Valley Christian School. The duo provided musical entertainment for the art show reception. 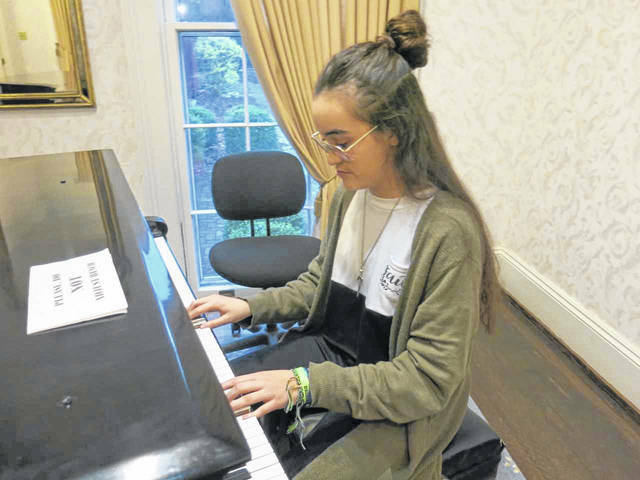 Pictured is Faith Hajivandi entertaining guests at the art show for Ohio Valley Christian School at the French Art Colony. GALLIPOLIS — Art has no age limit. The French Art Colony recently hosted the Ohio Valley Christian School’s Art Show with a reception to honor all the students presenting their work and displays. More than 60 pieces of art, created by OVCS students, were entered for judging. This is the second year for OVCS to hold an Art Show, but the first time to use the FAC to showcase their displays. A variety of media was used, including watercolors, charcoals, photography, acrylics, mixed media, sculptures, and more. Several art activities were also offered by FAC to children throughout the evening. Entertainment was provided by OVCS musicians. Door prizes were given throughout the event, organized and sponsored by the OVCS Boosters. The students’ art work will be on display in the FAC Gallery through April 6. The FAC encourages the public to stop by Riverby to see the creative talents of the OVCS students. Information submitted by the FAC.